1 edition of The Inner Temple found in the catalog. Add another edition? Are you sure you want to remove The Inner Temple from your list? 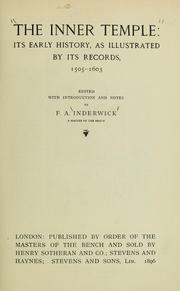 Published 1896 by Published by order of the masters of the Bench and sold by H. Sotheran...[et al.] in London . 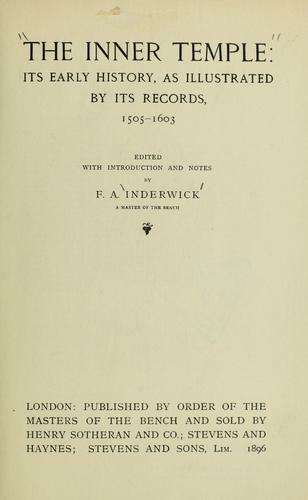 Publié aussi en tant que v. 1 de A calendar of the Inner Temple records, London, 1896-1901.